Stella Soomlais opted for latter but has managed to pull of both. Combining sleek Estonian design with sustainable production methods, Stella has built a namesake brand that can be recognised from afar. In certain districts of Tallinn − Telliskivi Creative City is a good example − you might see every second person carrying her bag. 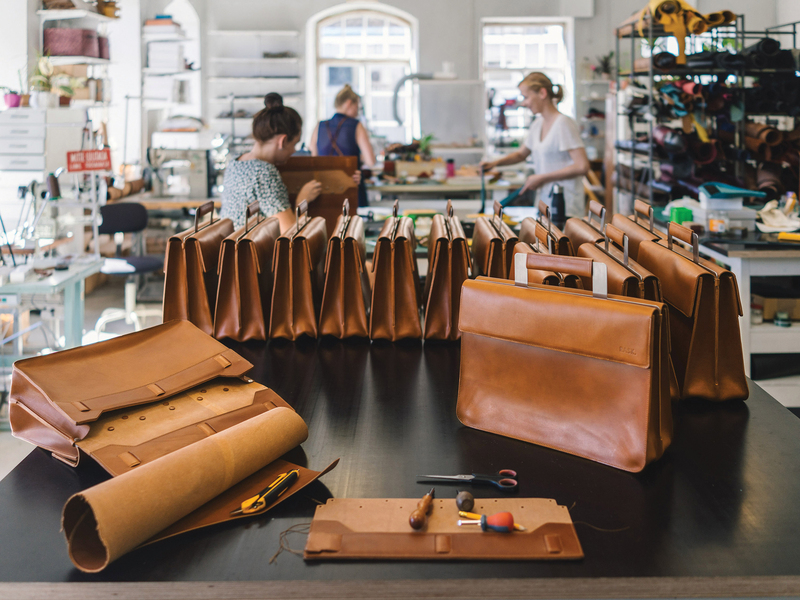 Anyone who orders a custom-made Stella Soomlais leather bag will get it tagged “Handmade in Estonia” with the name of the owner, the maker and the serial number crafted into the leather. 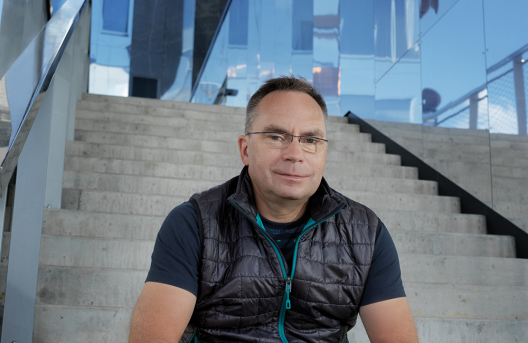 If the studio numbered the smaller accessories, there would be more than 20,000 personalised products scattered around Estonia and many other countries near and far. If a bag wears out or the person carrying it gets tired of it, the original product can be redesigned into something else. Another growing trend is rent-a-bag: there are more and more people who really dig the idea of a circle economy. Many people would much rather spend €15 to wear a cool purse for a weekend than buy it for €250 (and maybe never get an occasion to wear it again). Mostly young people, who are constantly on the move, simply don’t want to own stuff anymore. Material-wise, Stella’s studio is now mostly using vegetable tanned leather, i.e. leather that has been processed with natural materials, such as barks, branches, leaves and even some fruits in some specific techniques (and unharmful chemicals as is most common in this industry). ‘I have personally visited a tannery in Sweden where we get this leather and although it is much more expensive than the chrome tanned leather we previously used, I will probably use only this in the future as I know for sure how they produce it, plus also the journey from its sources is much shorter to our studio, therefore the ecological footprint is much smaller,’ Stella sums up what really counts. A day before we met, Stella had been speaking to the first graders at her former high school in Tartu. 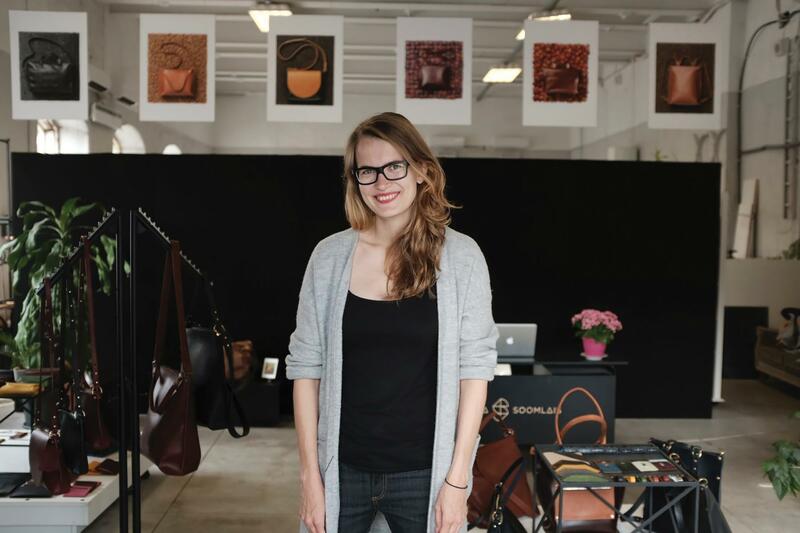 She shares a story of a kid who made a leather bag sketch and put a price tag to it − €550.50! This kid either has a really good gut feeling about this industry or she’s a really big fan already. Stella herself was not one of those kids who knew from first grade what she was going to be as a grown-up. As a promising sprinter (400m and 400m hurdles) she obviously developed a strong self-discipline and determination, but never saw herself becoming a professional athlete. She could not decide if she wanted to become a lawyer (‘Almost everyone from our school ended up studying law but I found it to be a bit too overwhelming!’) or study interior design at the Academy of Arts (‘I was not lucky enough to pass the entrance exams.’). 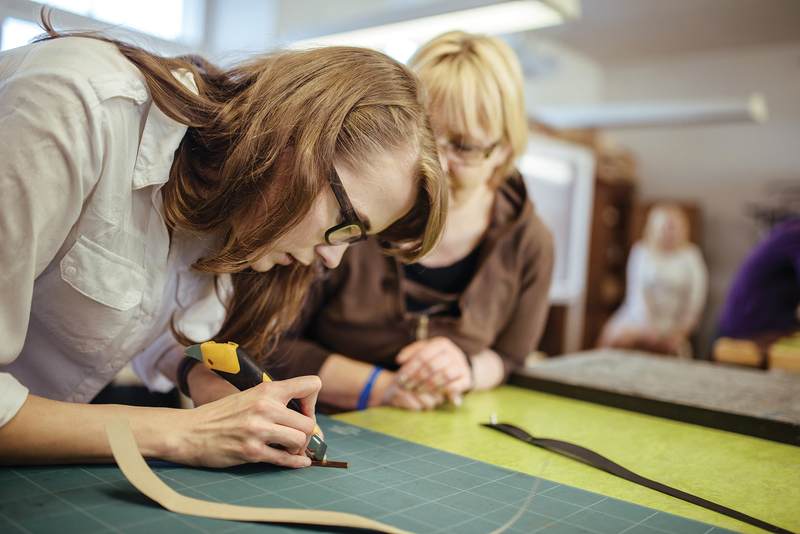 So instead, she started her studies in leather design and restoration at Tartu Art College. 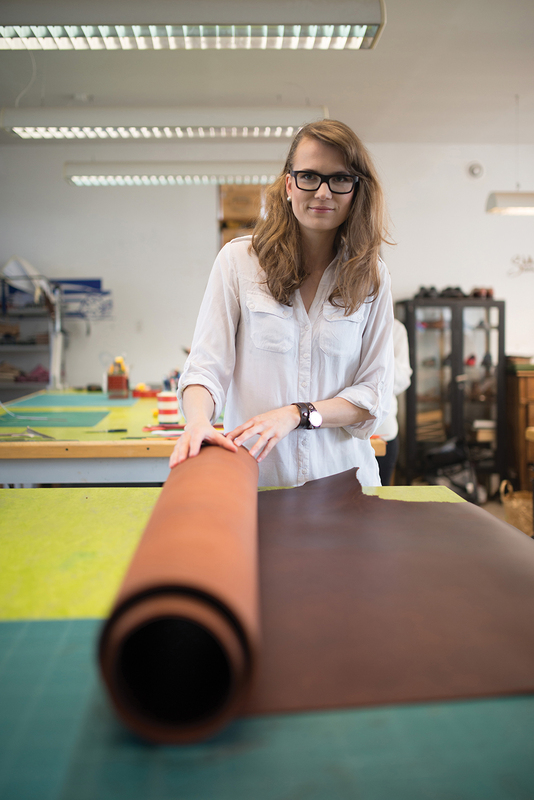 Studies in Tartu and a semester in Lahti, Finland, opened her eyes to the possibilities of leather. 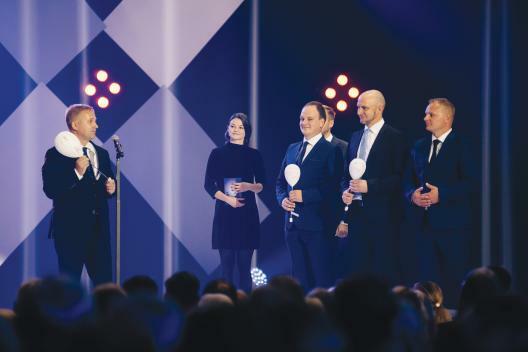 While setting up her studio, she was also teaching at the Academy of Arts and Tartu Art College, as well as organising the Tallinn design festival “Design Night”. At some point, she realised there were too many things going on to do any one of them perfectly. She started dropping external tasks and hired the first people for her studio to start taking custom-made orders. ‘The first ever time I took a weekend off was my 10th year in the business,’ she says, but admits that being able to divide her time between her business and private life has opened up a completely new perspective. This is the total opposite of what a visitor might experience when walking past the shop area into her studio, a spacious former machine-building factory on the outskirts of Telliskivi district, now dotted with desks, vintage cupboards with cute little drawers and lush green plants everywhere. The masters, as Stella calls her employees, are tinkering away on their benches, each person completely dedicated to making one bag from the start to its final touches. In a way, this reminds me the stories of the Hanseatic League, the merchants union that helped Tallinn become a flourishing city in the Middle Ages. However, these days, the masters and apprentices are all women.